Rest assured that all our beekeeping equipment comes to you from a bee disease free zone. Buy with confidence as our company policy states: -No beekeeping equipment can be returned once dispatched in the interest of bee health & safety and to stop the spread of transmittable bee diseases. 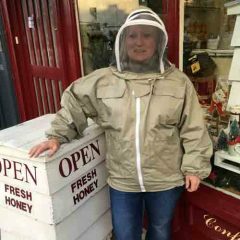 Designed by The Hive Honey Shop, this super large bag is designed to keep your supers protected from wax moth, wasps, mice and honey mess. 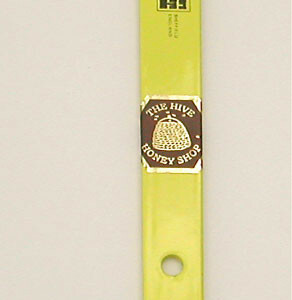 Great during honey harvest time. Just place full honey boxes inside while waiting to extract. Keeps the honey and propolis mess contained. The bag can be washed once used then air dry to use again. Here is a new REDUCED!- Protective Bee Jacket/Smock. Really looks good and well made. We have two left that we are reducing them as they have small- shop soiled areas. As it will get covered in honey and propolis that should not be a worry! The hood zips open, but does not detach. It has been stitched to keep the end permanently in place and as not to have the veil come away. Do not remove the veil. Sold as seen. Very well made, thick cotton with great Velcro at all important points. Protect your apiary from wasp invasion. We use this in our honey operation and at our orchard. Very effective at trapping the scouts wasps, reducing wasp activity in the area. The wasp trap will attract wasps-not honeybees or bumblebees. Great to protect gardens, camping sites, outdoor parties, picnics. If you have any questions please contact The Hive Honey Shop. In a pack of 10 frames ready to assemble. per pack of 10 frames. To be assembled. Inquisitive mice looking for a nice warm place to spend the winter will crawl through the entrance of your beehive- not good! Not only will they find warmth but a very nice food source to last them a time- yes YOUR BEES! Mice love the taste of honeybees and honeycomb. They will slowly pick off one bee at a time working their way through your colony. During this cold period your bees will not be in their normal defence mode, instead clinging to one another to keep warm. Bees are cold blooded insects and need external heat or find it hard to move. This means a mouse can easily attack them without retaliation. So what can be done? Apply a Metal Mouse Guard. This is a commercially produced metal strip with small bee size holes in it. If you have an entrance block in place to reduce the entrance size to keep wasps out, now you can remove this block. Nail/Pin the strip over the complete entrance area. Your bees will be able to enter and exit, but the holes are too small for a mouse to fit through. Even if you think there are no mice in your apiary area- they will find your hive. 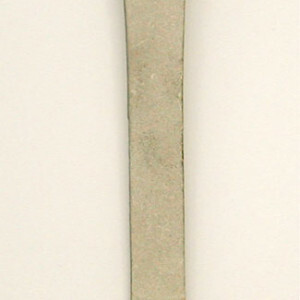 Designed with a slight bend to the fork tips. Unlike the cheaper completely straight forks which make lifting the capping much harder. 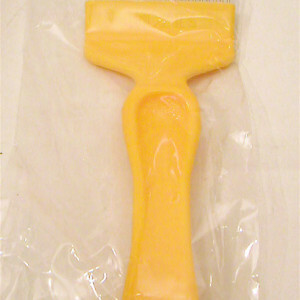 Very durable, long lasting. Beekeepers sear by it. If you have any questions please contact The Hive Honey Shop. Made of Solid Stainless Steel-Will never rust! Hardened steel craftsmanship, made in Sheffield England for a long lasting robust working life! Clever narrow end to lever frames, slot between brood & super boxes to pry apart. 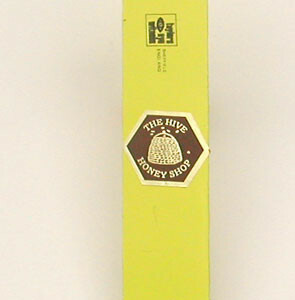 Heavy Duty Big Red J-Hive Tool.